LS Holdings Group, from a modest trading outfit has evolved into a sizeable corporation with over 2,500 employees worldwide. As our corporate story continues to unfold, we remain guided by our collective vision of standing as one of the world's leading providers of quality seafood - harvested, sourced, and processed in a socially-responsible manner. Responsible stewards don't waste product. To that end LS Holdings Group is committed to maintaining a state-of-the-art harvesting, processing, and distribution system that make the most efficient use of our nation's fishery resources. Our goal is full utilization of the fish we harvest. It benefits our company, it beneﬁts our consumers and it benefits the marine ecosystem we all share. In our day-to-day operations, we aim to uphold our market-leading position by advocating best practices, setting new industry standards, and fulfilling our responsibilities to customers, investors, staff, partners, and the environment. LS Holdings Group corporate story began in 1985, when we charter our first break bulk carrier to service the southeast Asia and China to established some of the new trade routes and trading of foreign imports. At the biggest of our time, we had a fleet of up to 20 carriers and depots to service all the Asian regions. In 1994, Mr. Wang Shun Lung and his brother established a small Longline Fishing Company in Taiwan. At the time, the company harvest tuna in India Ocean and exports to Japan for Top Sashimi Market. 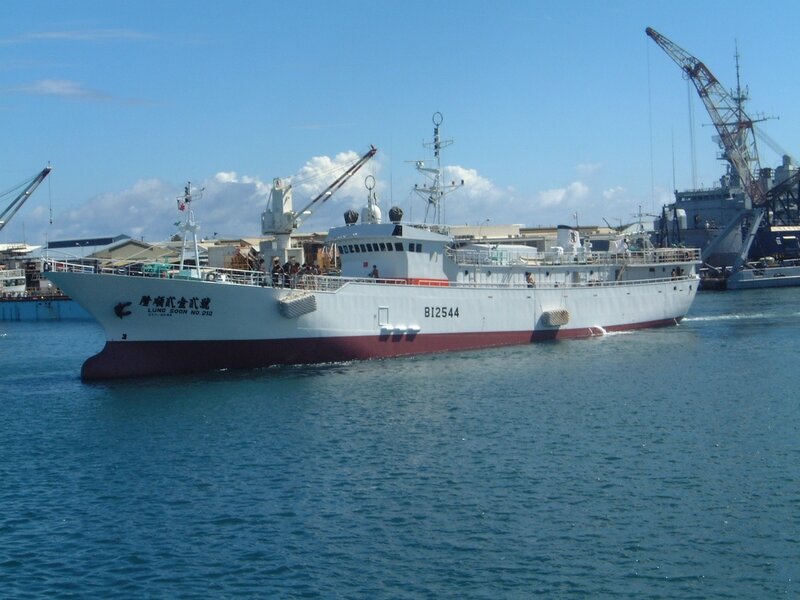 During these early years, LS Holdings Group continues to develop the tuna ﬂeet in Pacific Ocean. The company also began offering high-sea cargo and bunkering services, diversifying into a segment that was to form the foundation of its supply chain management business. At the same time, it identified the immense global potential for tuna and turned its focus to this versatile and wholesome product. Driven by the global potential recognized, LS Holdings Group began processing sashimi Tuna through directly subsidiary factories in Kaohsiung, and become one of the biggest super frozen tuna factories in Asia. After a phase of rapid development in the early 1990s, the Wang family continue to remain privately own and build a large stock of capital within its group. In 2005, LS Holdings Group further expands its business into the US market by establishing Trading and Processing of Sardine, Crab, Shrimp and Pacific Whiting, with its subsidiary in USA, Da Yang Seafood. To further meet the needs of its customers more quickly, the Group's brand new Soon Yi processing complex in Kaohsiung began its trial operations in February 2008. Featuring state-of-the-art facilities, the complex is one of the world's largest and most comprehensively equipped meetings the international Standards of Food Safety in ISO 22000 and HACCP. Later in 2008, expansion in tuna distribution and fast-food sushi chain, make LS Holdings Group, a true company from the catch to the plate. In 2009, LS Holdings Group further acquired MSC certification in US Production facility, Da Yang Seafood Inc, another milestone of our company committing to the global sustainable seafood. As a fishing company whose success is dependent on the sustained abundance of commercial fishery resources, LS Ocean Group strongly supports the protection of our marine environment. By this time, the management was ready to steer LS Holdings Group in a brand new direction. The Group is now in an excellent position to cross-leverage its various business divisions and responds to the complex needs of a geographically diverse customer base. Expect More Than Tuna We're not just passionate purveyors of tuna sashimi and sushi, but everything else that goes with a full and rewarding sashimi and sushi experience. We also offer as election of premium frozen Seafood in the store. At LS, we love sushi. We have a story for each tuna and believe in perfection & no waste. Harmony with the ocean and Peace of Mind. What is good for the Ocean, is the best for our company.